Firstly, the video clip above features a U.S. commercial from 1981. 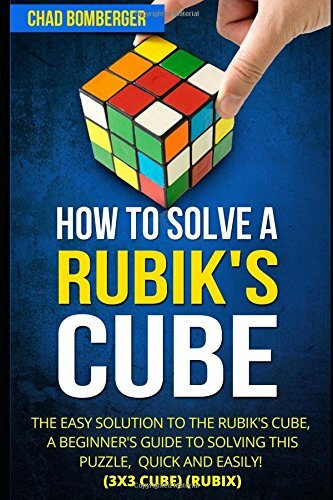 The Rubik's Cube was actually invented in 1974 by Hungarian sculpture and Professor of architecture Ernő Rubik. 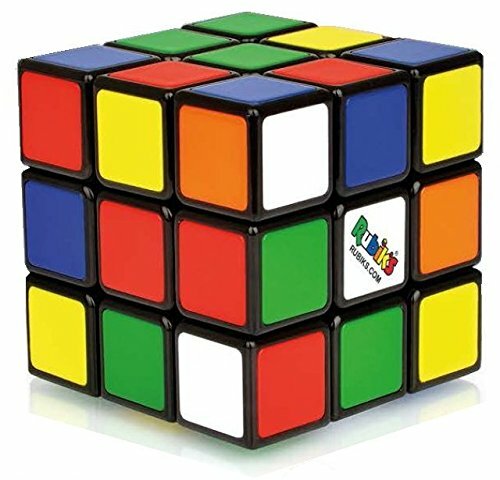 It was originally called the Magic Cube and was licensed by Rubik in 1980 to be sold by the Ideal Toy Corp.
351 million units of the original 3D puzzle have now been sold worldwide, making it the world's top-selling puzzle game. 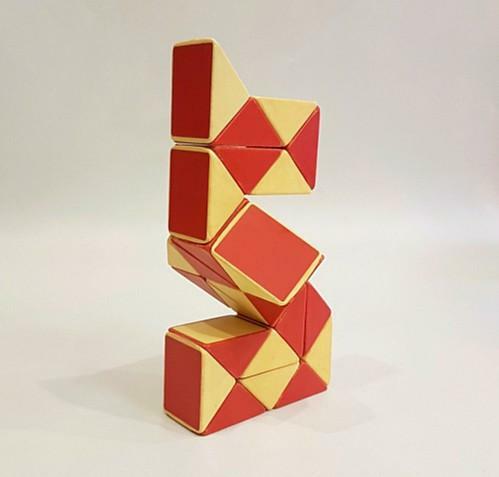 Of course, goodness knows how many unofficial cubes have been sold, too! It is widely considered to be the world's best-selling toy, and was certainly the best-selling toy of the 1980's. Simplyeighties.com is a participant in the Amazon Associates affiliate advertising program. This enables us to earn fees from linking to products on their websites. 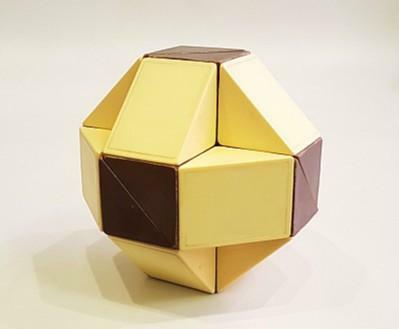 My parents bought me the original Rubik's Snake sometime in the early 80s, and it was a ghastly cream and brown colour. Newer versions (such as the one on the left) were much more pleasant to look at! The snake featured 24 identical wedges that could be twisted into shapes. 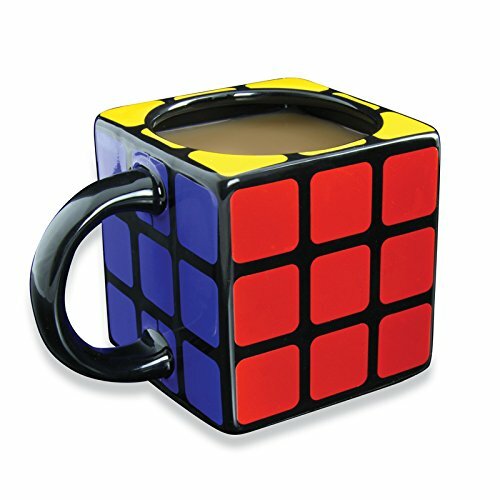 These days it's called the Rubik's Twist, but is still virtually the same as the original snake - apart from those nasty colours, of course! 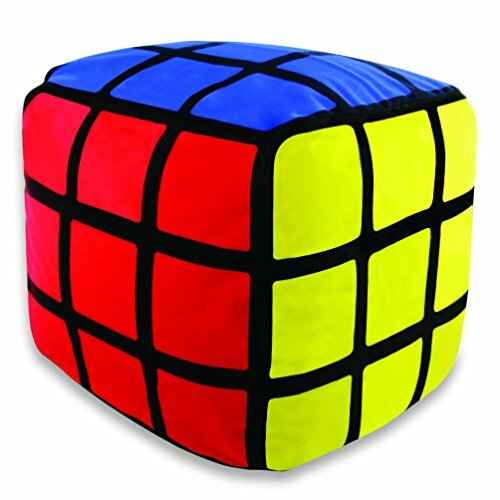 These days there are all sorts of amazing Rubik's puzzles (and non-original clones) are available, including the Magic Puzzle and incredibly difficult Sudoku Cube. This is an original red and cream snake from the 80's in the shape of a dog - sort of!